Could you use an extra $5,000 to $10,000 or more each year? Scores of people who have a bedroom to spare are doing just that by sharing their homes with the help of websites like Airbnb. Seniors are cashing in more than most. Exactly how much are they making? In Washington, D.C., the average Airbnb host of age 60 or older earned $10,600. In Boston, the average was $13,400. New York: $7,100. And in San Diego it was $11,256. Rural areas in Oklahoma, Alabama, and Arkansas have seen a surge in seniors specifically realizing the financial rewards of home sharing. 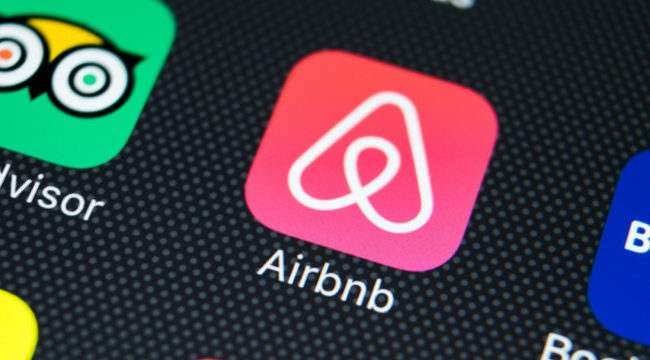 Airbnb dominates the vacation rental sector and lists a staggering 800,000 properties in 34,000 cities across 90 countries. In Florida alone, according to Airbnb, more than 45% of its 40,000-plus hosts are seniors who pulled more than $150 million in 2017. The extra money comes in handy and allows many to age in place while staying socially active. You can set your own rates, write the house rules, and even blackout days that you might be traveling or have family visiting. Home sharing can obviously be done at any age. But it’s an absolute dream for seniors who like making money and/or enjoy meeting new people from around the world. Supply – Seniors are likely empty nesters with unused rooms in their homes, making them the perfect hosts for platforms like Airbnb and Expedia’s HomeAway. Demand – Many seniors are healthy with newfound free time… no longer having the responsibilities of jobs or mortgages. Traveling is a biggie on their bucket lists. But they don’t want to pay top dollar for fancy hotels. Plus there are those going solo and looking for friendlier accommodations. If you choose to have guests rent a spare room in your home, you can be as active as you want with them. For instance, you could give them a key, a list of restaurants and sites to see, and send them on their way. You could turn their visit into a social event… showing them the places tourists don’t go, taking them on your favorite walking trail, or inviting them to a neighborhood cookout. This homestay bandwagon has become so popular that there is a now a club strictly for hosts and travelers over age 50. The Freebird Club is based in Ireland and has members around the globe. It’s easy becoming a host in most areas. You just sign up by providing pertinent information about yourself for security purposes. Then you post details of your home and include photos. You simply go to www.Airbnb.com or www.HomeAway.com and set up an account. It all takes less than an hour. No charge to get started with HomeAway or Airbnb. Both companies make part of their money from hosts by taking 3% commission of every booking. In New York, for example, you cannot rent out an entire apartment for less than 30 days. It’s the same thing in my neighborhood in Santa Barbara or else I’d already be raking in extra cash. In New Orleans, short-term rentals in the French Quarter are banned. In Miami Beach, there are large portions of residential areas where rentals under six months and a day are illegal. Some areas may require you to obtain a business license or special permit. And some apartment buildings in any city may ban these sorts of rental agreements. Your home might have to meet certain building and housing standards, too. And of course, the tax posses from your city, county, and state will have their hands out. Regardless of some of the potential obstacles, there is no arguing that home sharing can open up a whole new world for you… a new way of generating income while meeting new people as you travel through the next stage of your life. So whether you have a spare room, a small guesthouse, or even a couple weeks that you’ll be traveling somewhere else, I encourage you to consider turning that vacant space into extra money!